Do you love eggs? I do and there is nothing better than a perfect over medium egg for me. I like my whites done and my yolks runny so I can sop them up with my toast. 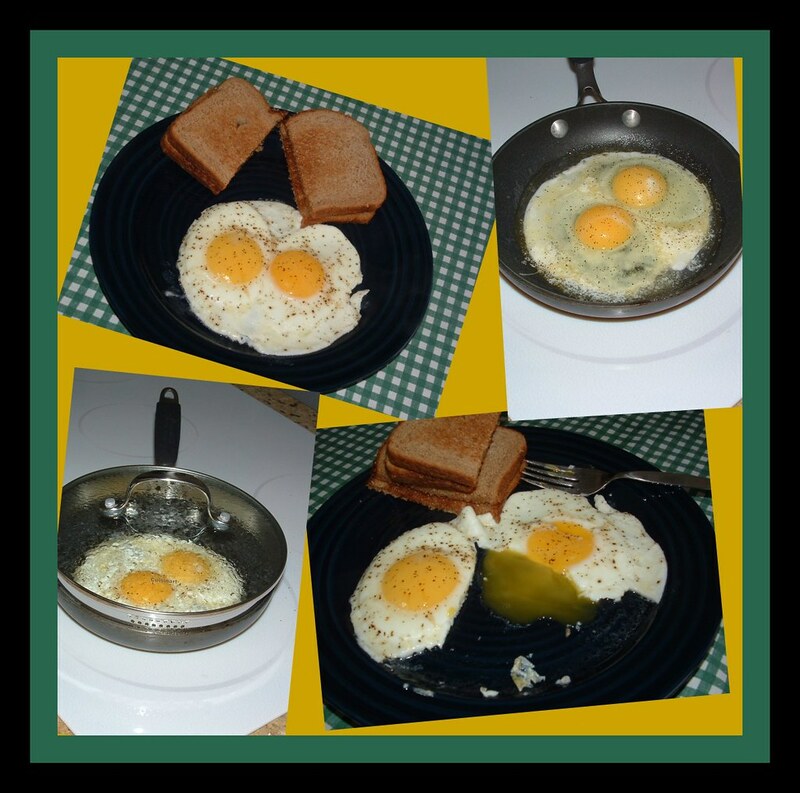 So many times the yolks break trying to flip the eggs, but I have finally figured it out and it is soooooooooooooo simple! Melt the butter in your pan over a medium high heat. Crack eggs into the butter. When whites begin to solidify add the water and cover. The rest of this is a matter of watching closely. When the whites are done they will no longer jiggle. Turn off the heat immediately and your yolks will be perfect.